← Has Your iPhone Data Consumption Skyrocketed? 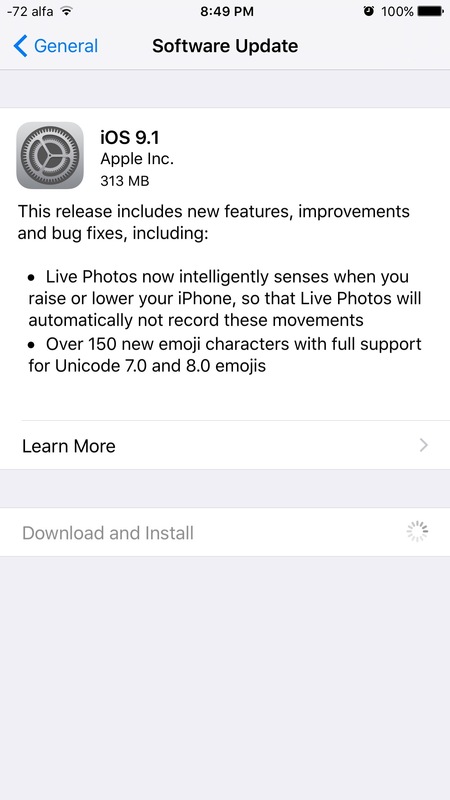 Less than an hour ago, Apple released iOS 9.1 for all compatible devices. iOS 9.1 also lays the groundwork for some other iOS devices that are launching soon. One is the new Apple TV, which ships with the iOS-based “tvOS.” The other is the iPad Pro, which brings with it support for the Apple Pencil and its Smart Keyboard cover. The Apple TV ships next week, while the iPad Pro is due sometime in November. This entry was posted in iPad, iPhone, iPod and tagged 10.11.1, 9.1, apple, bug, el capitan, fix, ios, osx, release. Bookmark the permalink.